In response to heightened industry and regulatory standards, service companies are continuing to introduce innovative technologies to improve the safety and environmental responsibility of solids control and cuttings handling. 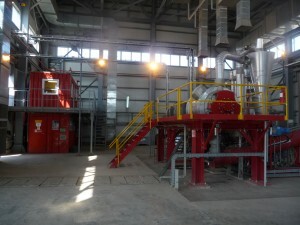 Part of Baroid’s FullCircle® cuttings reinjection process, the two-stage hammermill grinds waste and cuttings to a slurry before they are injected into the formation for disposal. FullCircle The cuttings injection service helps eliminate costs and risks of cuttings handling and disposal. The primary purpose of solids control is drilling fluid conditioning, or removing as much of the unwanted solids as possible from the drilling fluid, she explained. “But the secondary purpose is to achieve regulatory disposal limits through effective waste management such as cuttings dryers and cuttings treatment equipment,” she said. Equipment selection is determined by several variables, including hole volume, available space on the rig and subsequent discharge in the area. 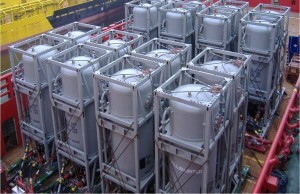 Halliburton’s Honey Comb Base (HCB™) tanks are used for bulk transfer of waste. In an offshore operation, waste is conveyed pneumatically by the SupaVac™ SV400 cuttings collection and pumping system through hoses from the HCB tanks on a rig to tanks or collection pits on a boat to be transferred onshore. “Solids control equipment assists in environmental compliance by helping the operator remove unwanted solids, rock cuttings and particulate materials from the drilling fluid during operations,” Ms Djuric continued. The wastes can then be treated with secondary recovery or treatment equipment to extract additional fluids from the solids for reuse in drilling operations. Better thermal systems and methods of bulk handling also have been developed. 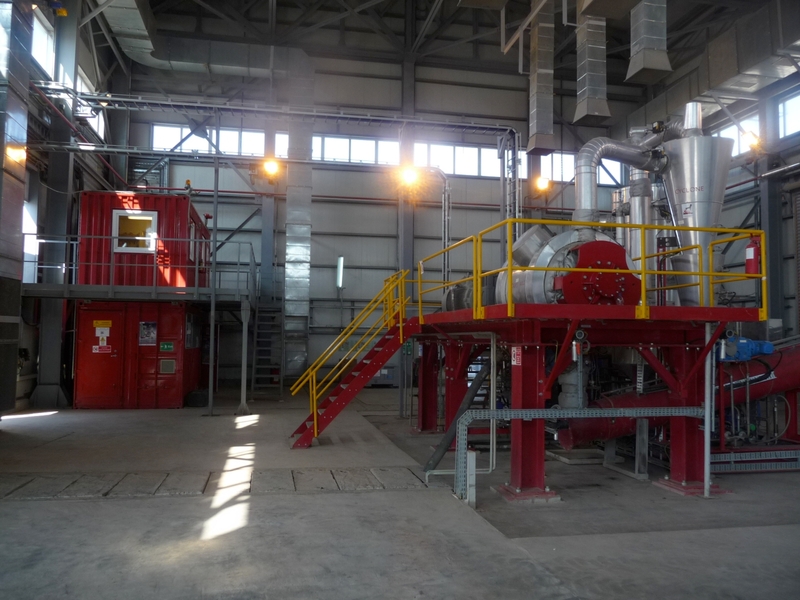 “In many ways, it’s the chemistry that is the environmental driver rather than the mechanical processes associated with solids control and waste management,” Ms Djuric noted. Achieving optimal environmental standards is complicated by the myriad regulations that vary by country, state or province and even county. Offshore regulations are more standardized than onshore, but agencies such as STRONGER in the United States are working to provide a more harmonized approach to drilling waste regulations and practices. “In offshore regions where regulations are lacking, North Sea or Gulf of Mexico standards commonly apply,” Ms Djuric said. Offshore, the primary environmental concern is to protect aquatic species from the generally monitored parameters of hydrocarbons, chemical toxicity, degradation and, in some areas, bioaccumulation. “On land, Louisiana 29B or Alberta’s Directive 50 are commonly used as a reference point. But harmonization is very difficult to achieve on land due to the wide diversity of ecosystems,” Ms Djuric explained. Depending on the location, onshore environmental compliance can range from protection of vegetation, agriculture and soil quality, to safeguarding water quality and associated aquatic species, or drinking water conservation. Metals, salts, including chlorides, hydrocarbons and chemical toxicity are the parameters typically monitored. 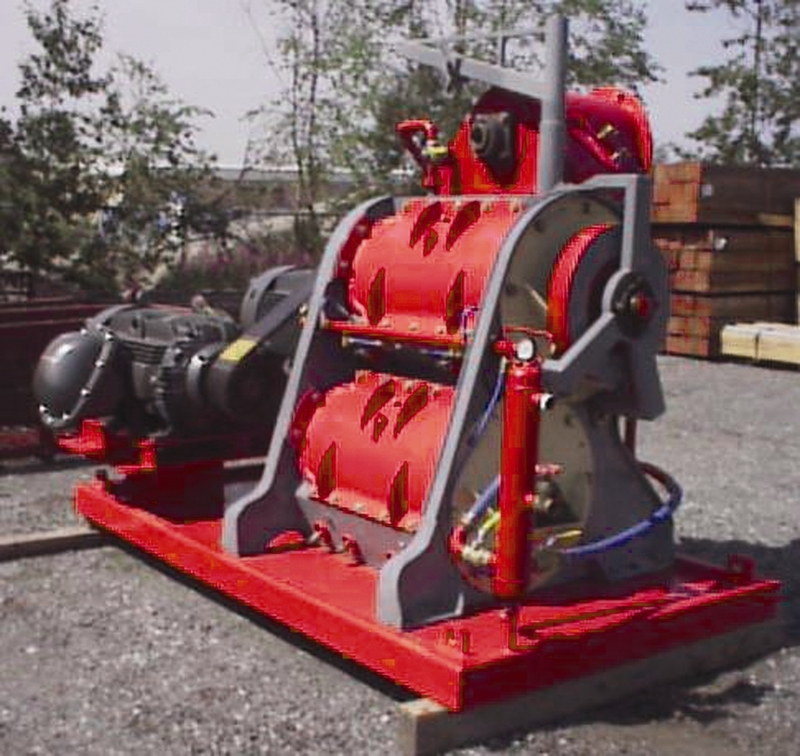 Thermo--mechanical cuttings cleaner is used to process oil-contaminated drilling waste. Oil and water are separated from the cuttings by mechanical and thermal treatment. Recovered oil can be re-used to fuel the machine, enabling a more sustainable process. Even as more technologies emerge into the marketplace, managing and navigating through the regulatory environment is becoming a significant issue. “The biggest challenge will be educating regulatory bodies around the world as more technologies come into the market that allow for reuse and recycling of drilling fluids and drill cuttings,” Mr Abbott said. In some areas, for example, wastewater must be treated and disposed of as waste even after it has been purified. “We have technologies in place for water treatment that can treat water to drinking standards, but that technology cannot be used in certain areas because a particular region’s definition of ‘beneficial reuse’ is not fully established, or because the definition of ‘waste’ is so inflexible that recycling or reuse of waste is not permitted,” Ms Djuric noted. HCB and SupaVac are Halliburton’s trademarks, and FullCircle is Halliburton’s registered trademark.